Violent clashes broke out Thursday evening in Jayous town east of Qalqilia after Israeli occupation forces (IOF) raided the town. At least one gunfire injury was reported, while several others suffered effects of tear gas inhalation. The clashes erupted when IOF soldiers stormed Jayous town and closed its main entrance. Local sources told the PIC reporter that a Palestinian young man was shot in his leg while many others suffered breathing problems due to the IOF heavy firing of tear gas bombs during the confrontation. Ambulance vehicles were prevented from reaching the clashes area, while the injured young man was investigated by IOF soldiers for several hours before being moved to hospital, the sources added. Jayous town has been daily targeted by IOF as it is located near the Separation Wall's main gate in the area. Israeli occupation forces (IOF) opened heavy machinegun fire at Palestinian farmers in southern Gaza Strip on Thursday evening. Local sources said that the IOF gunfire forced farmers tending to their lands and shepherds rearing their sheep in the area to the east of Khan Younis to leave their lands. Israeli fanatics, escorted by army troops, attacked on Thursday morning a school for Palestinian girls in al-Khalil’s Old City, in the southern occupied West Bank. 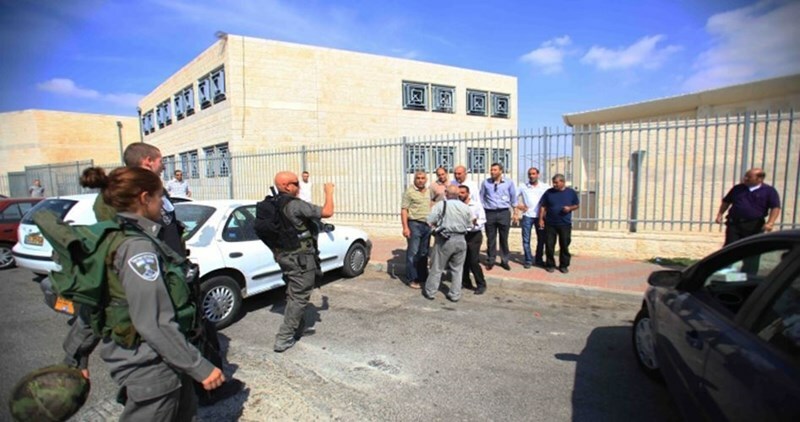 Eyewitnesses said Israeli settlers attacked the Ibrahimiya School, adjacent to the Ibrahimi Mosque, and al-Zahra School. The extremist Israelis reportedly cracked down on a group of schoolchildren at the same time as Israeli soldiers showered the al-Zahra school with teargas canisters. Several schoolgirls choked on teargas and were rushed to a local clinic in the Old City of al-Khalil. The administration evacuated the school and suspended classes for fear of more assaults on schoolchildren. The Israeli Occupation Forces (IOF) launched at dawn Thursday a large-scale raid campaign in a number of towns in Jenin and erected several make-shift checkpoints. Local sources told a PIC news reporter that Israeli forces stormed in large numbers Qabatiya town after closing its main entrance. At least six locals were arrested during the raid while a number of homes were stormed and searched. A military checkpoint was also erected at Jenin-Nablus road where dozens of Palestinian vehicles were stopped and searched. Meanwhile, violent clashes broke out in Nablus when IOF soldiers stormed a number of towns in the province and arrested two young men. During the clashes, Israeli forces heavily fired tear gas bombs and rubber bullets at the residents. However, no casualties were reported. Several Palestinians suffered injuries on Wednesday during clashes with invading troops in Qasra town, south of Nablus city. Local sources told the Palestinian Information Center (PIC) that the clashes started after Israeli soldiers orders local citizens to remove agricultural structures in the southern and eastern areas of the town. The sources added the citizens were handed notices ordering them to remove agricultural rooms and uproot saplings on their own plots of land in al-Wa'ar and Ras al-Nakhel areas. These rooms had been built as part of a project funded by the Dutch government to reclaim agricultural areas. Israeli occupation forces (IOF) maintained their siege on Nahalin village, west of Bethlehem, on Wednesday for the second day. The IOF soldiers closed all entrances to the village with cement cubes and military barricades, blocked all traffic in or out of the village, and searched many houses. The IOF claims that the Palestinian youth who stabbed a settler in Neve Daniel settlement, illegally built on Palestinian lands in southern Bethlehem, had fled to Nahalin. Citizens said that the soldiers were breaking into houses and wreaking havoc on them, arresting young men and turning roofs of houses into military observation posts. 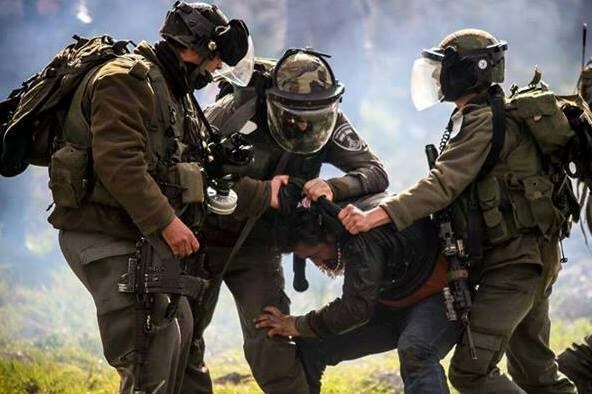 The Israeli Occupation Forces (IOF) launched at dawn Wednesday a large-scale raid and arrest campaign across the West Bank and occupied Jerusalem. The Palestinian Prisoners Society (PPS) documented overnight 23 detainees including 14 in occupied Jerusalem and six others in Bethlehem. 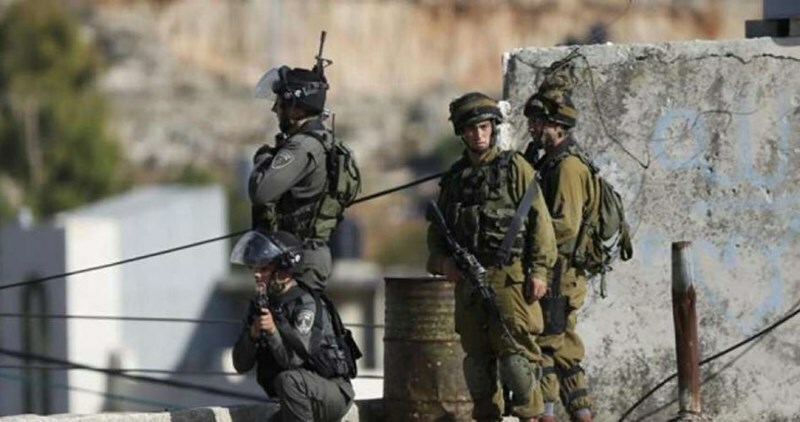 Three other arrests were reported in al-Khalil, Jenin, and Tulkarem. Local sources told the PIC reporter that nearly 12 Israeli military vehicles stormed at dawn today Jenin refugee camp which led to the outbreak of violent clashes amid heavy fire of tear gas and sound bombs. Several local homes were stormed and searched during the raid, the sources pointed out. Similar raids were also reported in Yabad and Qabatia towns south of Jenin, where a number of make-shift checkpoints were erected throughout the towns. In Nablus, IOF soldiers stormed Beita town and broke into several homes without carrying out any arrests. Eyewitnesses noted that Israeli soldiers checked during the raids identity cards of local residents and asked for their phone numbers. On the other hand, locals gathered around a Palestinian prisoner’s house after Israeli forces threatened on Friday to demolish it. In Tulkarem, IOF soldiers broke into Tulkarem refugee camp and arrested a young man after shooting and injuring him. 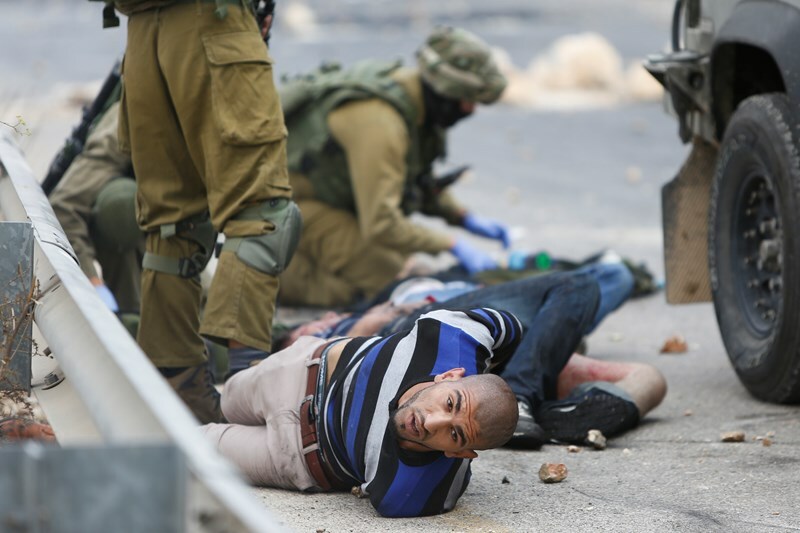 The injured detainee was identified by locals as Iyad Balawna, 31. Violent clashes erupted in the area following Iyad’s arrest while a number of checkpoints were erected in the surrounding areas, local sources told the PIC reporter. Israeli soldiers invaded, on Wednesday at dawn, the northern West Bank district of Jenin, and kidnapped one Palestinian, while six more were kidnapped by soldiers invading different parts of Bethlehem. 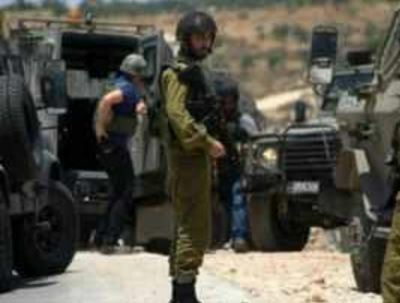 The soldiers invaded the Jenin refugee camp, in Jenin, searched homes and kidnapped Abdul-Salam Majed Abu al-Haija, 39. The soldiers sealed the camp before several military vehicles invaded it. In Bethlehem, the soldiers kidnapped Mohammad Ibrahim Zawahra, 25, Ali Abdul-Hamid at-Tous, 19, and Mahmoud Yacoub Sweity, 24, in addition to summoning Salem Qassem al-Masri, 24, for interrogation in the Etzion military base. Clashes took place between the soldiers and dozens of local youths, who hurled stones and empty bottles on them, while the army fired gas bombs and concussion grenades, causing many residents to suffer the effects of tear gas inhalation. In addition, the army invaded Nahhalin town, west of Bethlehem, and kidnapped Mahmoud Mohammad Najajra, 50, his son Nathem, 27, and Ahmad Jawdat Najajra, 27. On Tuesday evening, the soldiers closed all roads leading to Nahhalin town, conducted massive searches of homes, and kidnapped many Palestinians; two of them have been identified as Mohammad Rabah Shakarna, 27, and Mohammad Abdul-Fattah Fannoun, 21. The army also invaded local clinics, and a pharmacy, in the town before violently searching them, causing excessive damage. Israeli soldiers invaded, on Tuesday evening, the town of Teqoua’, southeast of the West Bank city of Bethlehem, shot seven Palestinians, including two brothers, while at least twenty others suffered the effects of tear gas inhalation, during clashes that took place between the invading soldiers, and local youths. The soldiers shot Jihad Daoud al-‘Amour, 26, and his brother Ala’, 24, with live rounds in their thighs, as they were standing on the rooftop of their home, in the center of the town, medical sources said. Their wounds were described as moderate. The sources added that five Palestinians were shot with rubber-coated steel bullets, and at least twenty others suffered the effects of tear gas inhalation. Some of the wounded Palestinian were transferred to the Beit Jala governmental hospital, and the rest received treatment by field medics. 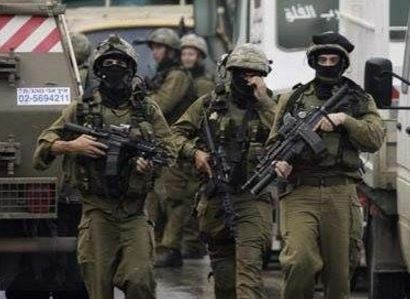 Israeli soldiers invaded, on Tuesday at dawn, several areas in the occupied West Bank, including occupied Jerusalem, and kidnapped seven Palestinians. 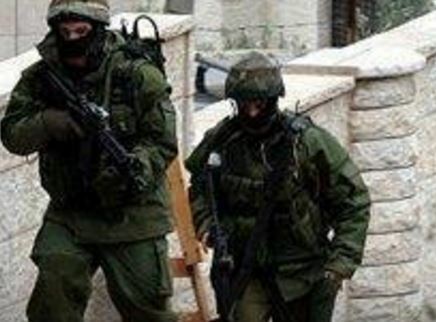 The soldiers invaded the southern West Bank city of Hebron, and nearby Beit Ummar town, broke into and searched dozens of homes, and kidnapped two Palestinians. 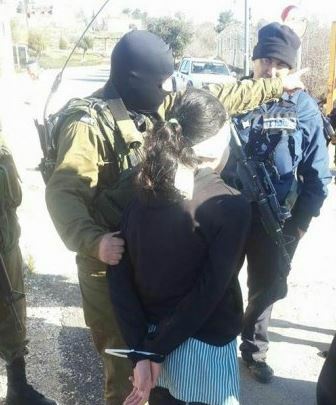 Furthermore, the soldiers kidnapped a school student while walking near Karmie Tzur illegal colony, built on Palestinian lands, allegedly after they searched her and “located a knife in her bag.” The army said the child, 13, was moved to an interrogation facility. In Jerusalem, the soldiers kidnapped a teenage Palestinian girl, 16 years of age, in Bab al-‘Amoud area, allegedly after she "attempted to stab a soldier." School principal Samer Bader said the soldiers invaded the school twice on Monday, allegedly after some students "hurled stones on settlers' cars, and military vehicles." Israeli occupation forces (IOF) opened machinegun fire at cattle breeders in central Gaza Strip on Tuesday morning. 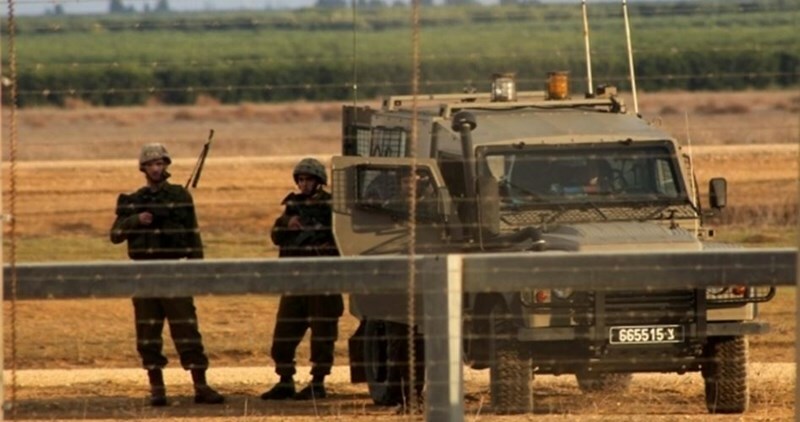 A field observer reported that IOF soldiers stationed in areas adjacent to central Gaza Strip opened their machineguns at cattle breeders east of Breij refugee camp, adding that no casualties were suffered. The Gaza Strip’s border areas are systematically targeted by Israeli soldiers who fire at farmers, shepherds, and residents of those areas, which constitutes a blatant violation of the calm agreement signed in Cairo in summer 2014 with the Palestinian resistance. Dozens of Palestinian schoolchildren in al-Khalil city choked on teargas on Tuesday morning after they were violently attacked by the Israeli occupation forces (IOF). A PIC news reporter said the Israeli occupation troops attacked Palestinian schoolchildren and protesters near the Tareq Ibn Ziad School with live rounds, rubber bullets, and teargas canisters, sparking violent clashes in the area. A Palestinian civilian sustained bullet wounds and was rushed to the al-Khalil public hospital for urgent treatment. 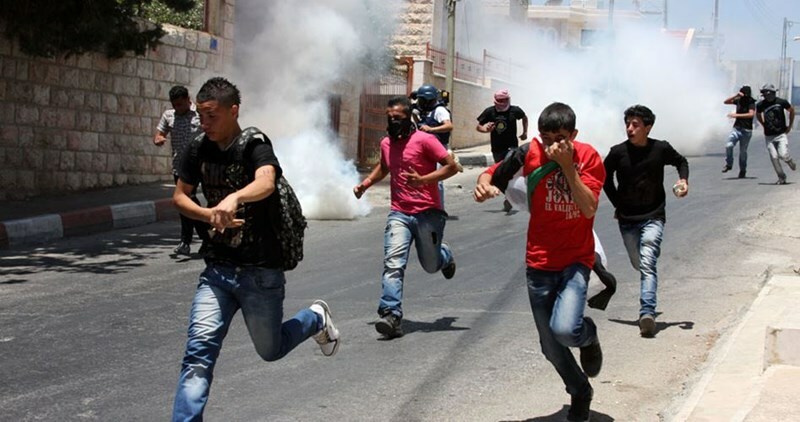 Dozens of Palestinian schoolchildren sustained critical breathing disorders due to heavy teargas inhalation. The Israeli occupation troops further rolled into residential neighborhoods in al-Khalil and sealed off the main entrances to local towns and villages with makeshift roadblocks, where Palestinian vehicles and passengers were stopped and searched. The IOF further stormed al-Khalil’s northern town of Beit Ummar in several army jeeps and wreaked havoc on Palestinian shops. The Israeli occupation forces (IOF) on Monday evening opened machinegun fire on a group of Palestinian civilians to the east of blockaded Gaza. 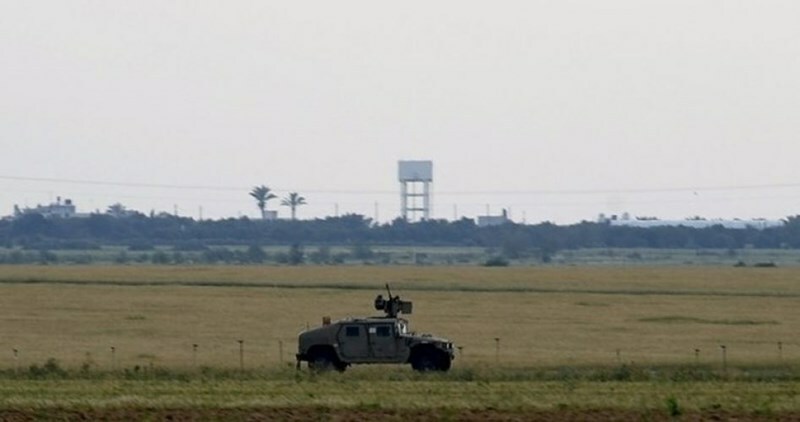 Local sources said the IOF troops deployed in al-Malika watchtower, in eastern Gaza, unleashed spates of gunfire on Palestinian shepherds and passengers in the area. Gaza’s eastern borders have been frequently attacked by the Israeli occupation army, in a flagrant violation of the Cairo-brokered truce deal struck in the wake of the 2014 offensive on the besieged coastal enclave. 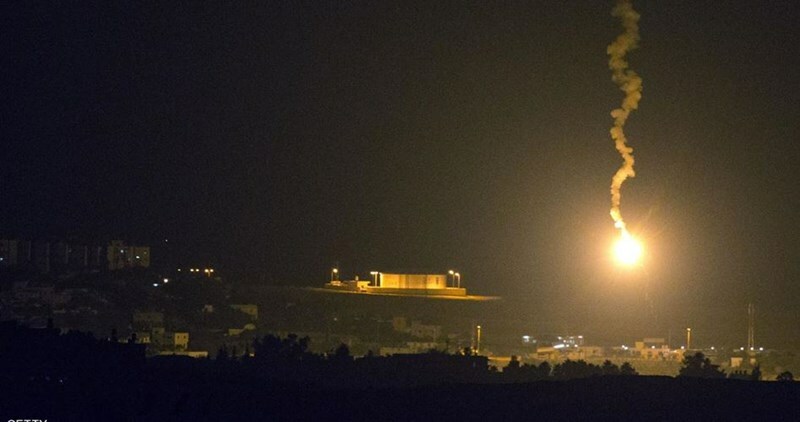 The Israeli Occupation Forces (IOF) opened fire late Sunday at Palestinian agricultural lands east of Gaza Strip amid excessive firing of flare bombs over the area. 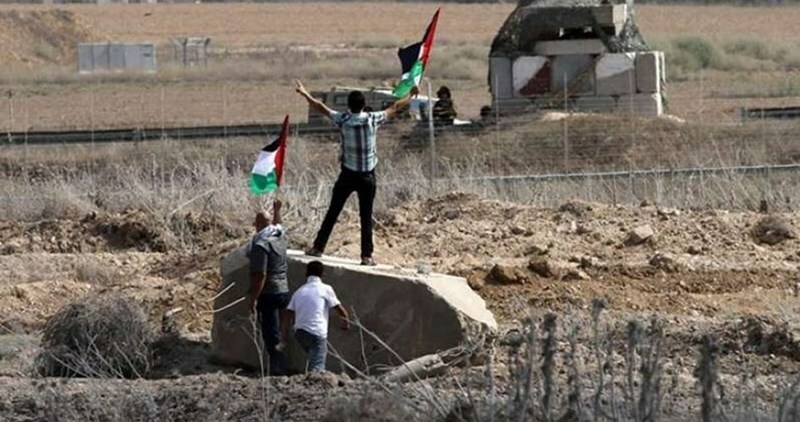 Local sources affirmed that IOF soldiers stationed at the border fence opened their machinegun fire at the border agricultural lands east of al-Bureij camp in central Gaza Strip amid heavy firing of flare bombs over the area. No casualties were reported during the attack, the sources added. Sunday’s attack came as part of Israel’s daily violations of the ceasefire agreement reached on August 26, 2014 that ended its summer aggression on Gaza during which more than 2200 people were killed including hundreds of children and women. The Israeli Occupation Forces (IOF) carried out at dawn Monday a large-scale raid and arrest campaign across West Bank and occupied Jerusalem. 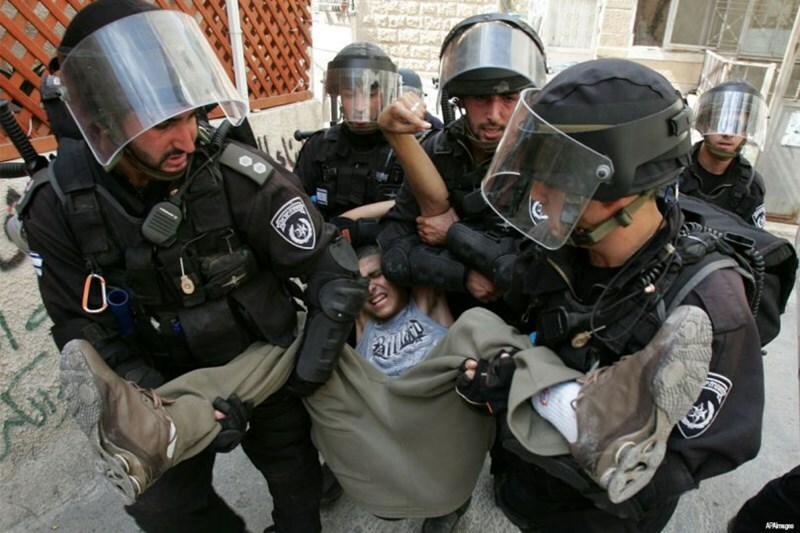 18 Palestinians were rounded up during the campaign. In Nabus, the IOF soldiers arrested two young men in Hawara town after violently breaking into the town. The two detainees were then taken to an unknown detention center, the PIC reporter said. Similar other raids were carried out in different areas of the city amid heavy firing of tear gas bombs, which led to the outbreak of violent clashes. No injuries were reported during the confrontation. Along the same line, Israeli forces violently stormed and searched the Palestinian MP Nasser Abdel Jawad’s house after blowing up its gate. His son was interrogated during the raid, the PIC reporter pointed out. In Jenin, the IOF detained at dawn today two citizens after breaking into Qabatia town to the south of the city. The PIC reporter quoted local sources as saying that IOF soldiers in nearly ten military vehicles stormed the town and deployed throughout its neighborhoods before arresting two young men and brutally attacking their families. 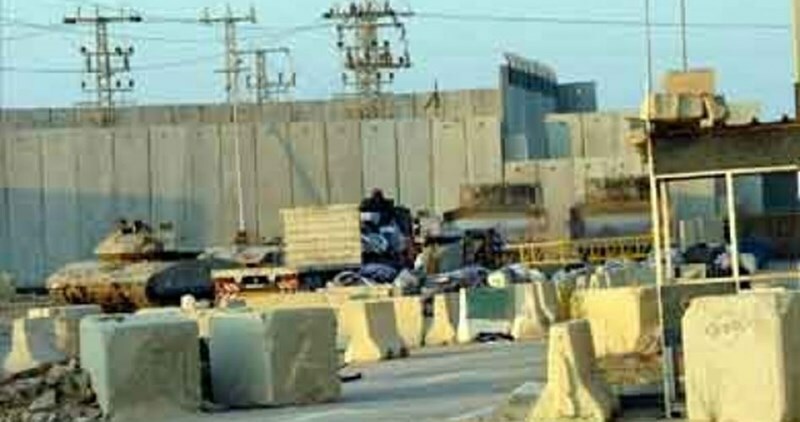 Several make-shift checkpoints were also erected throughout Ananin town to the east of Jenin. A member of Hamas Movement was also arrested in Jalama town, while three others were detained in Tulkarem. 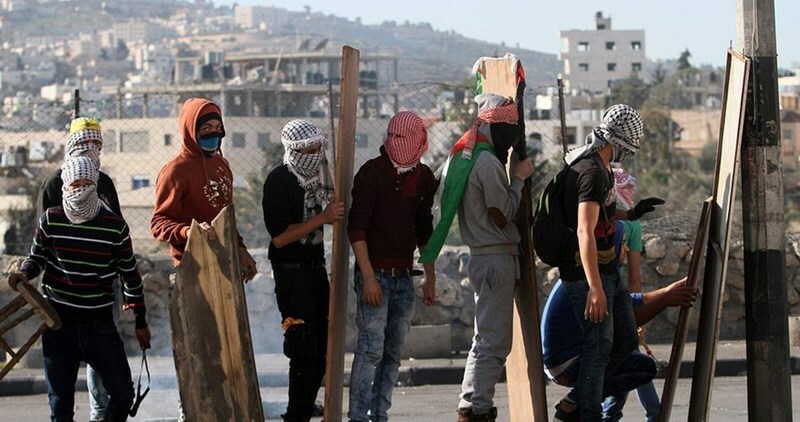 Two more arrests were carried out in Qalqilia and Qalandia refugee camp to the north of occupied Jerusalem, whereas five youths were kidnapped in Aida camp and Khuder town in Bethlehem. Two young men were also arrested in Surif and Beit Awa town near al-Khalil. The Israeli Occupation Authority (IOA) confiscated 600 of Palestinians' work and trade permits in Qabatiya town to the south of Jenin city. The confiscation comes within the Israeli policy of collective punishment after ending a three-day siege on the town. The president of the town's commerce chamber Hisham Massad told the PIC reporter that the IOA officially informed the chamber on Sunday about the prohibition of Qabatiya’s inhabitants of applying for work permits to enter the 1948 Occupied Palestine. Workers and traders told the PIC reporter that Israeli soldiers at al-Jalama military checkpoint ordered them to show their work permits as usual and when they did so, the soldiers confiscated then tore their permits. Israeli soldiers opened fire, on Monday morning, targeting Palestinian farmers in central Gaza, and fishing boats, in Gaza territorial waters. The soldiers, stationed behind the border fence, east of the al-Boreij refugee camp, in central Gaza, fired dozens of rounds of live ammunition into Palestinian farmlands, forcing the Palestinians to leave. In addition, Israeli navy ships fired several live rounds on Palestinian fishing boats, in the Sudaniyya area, in Gaza, causing significant damage to at least one boat, and forcing the fishers back to shore. The boats were only close to four nautical miles off the Gaza shore when the navy ships attacked them. The army frequently targets Gaza farmers while working on their lands, close to the border fence, in addition to similar attacks against fishers in Palestinian territorial waters. Such attacks led to dozens of casualties, including fatalities, and dozens of arrests. 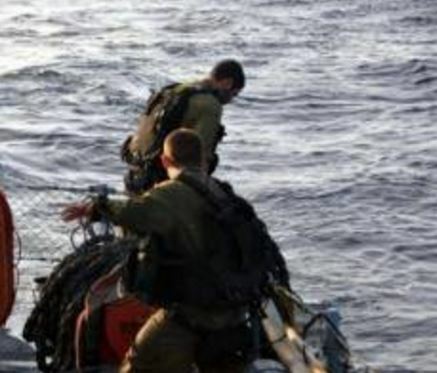 Last Wednesday, February 3, the Israeli navy opened fire on several fishing boats, in northern Gaza, and kidnapped four fishers from the same family.